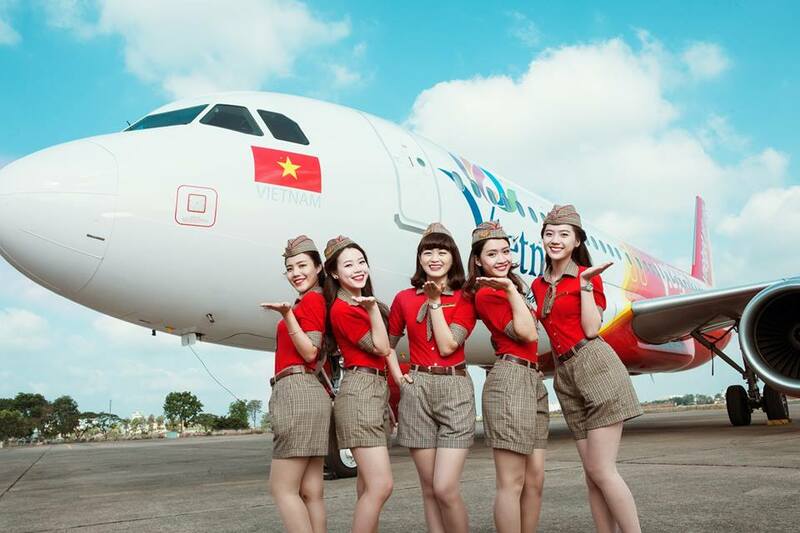 You’ve probably heard of the international low-cost airline, VietJet which is known for featuring bikini-clad flight attendants on its inaugural route from Ho Chi Minh to the coastal resort town of Nha Trang in 2012, and bikini models on its airplanes for a desktop calendar back in 2014. Although the airline was fined and slammed for the two occasions, its revenue has soared 205 percent last year to 10.9 trillion dong (RM2.05 billion) while it’s nett income has hit almost 1 trillion dong. The revenue of the airline is expected to double again this year with its passenger capacity reaching 15 million, Bloomberg reports. According to CAPA Centre for Aviation, the no-frills airline will probably surpass national carrier Vietnam Airlines as the nation’s biggest domestic carrier this year. Aiming to be the top budget airline in Asia, VietJet also plans to expand to international routes to cities in South Korea, Malaysia, China and Japan this year. 1 trillion "dong" ... LOL. If they're bikini-clad beauties, you'd want to be stuck in the plane for as long as possible, no? What, no guys in Speedos?